Is adland a richer place for private equity funding? Karmarama will hope to avoid the same fate as i-level after its deal with Phoenix. One swallow doesn't make a summer but Karmarama's announcement that it has secured substantial private equity funding to fuel its growth suggests sunnier days ahead for adland. Private equity companies haven't traditionally been fond of "people businesses" such as the ad industry, preferring to invest in sectors such as technology because, as one corporate financial advisor explains: "They can touch and feel it." However, some onlookers detect an increase in the number of private equity companies that see good money to be made from the marketing services sector, where business is picking up thanks to some big-name clients primed for growth. The point isn't lost on Phoenix Equity Partners, which is taking a substantial minority stake in Karmarama as the probable precursor to an acquisition and hiring spree by the UK's 28th-ranked agency. 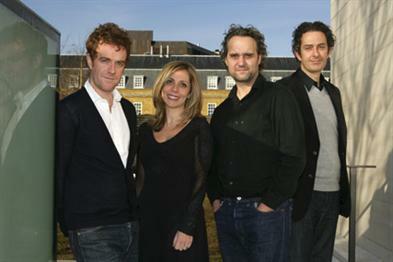 "This is an immensely significant moment for us," Nicola Mendelsohn, Karmarama's executive chairman, says. "We now have the ability to grow at a much bigger pace and to seize the opportunities presented by what's going on in the marketplace." Ben Bilboul, the agency's chief executive, adds: "We never wanted to be just a boutique creative agency, and it was becoming increasingly clear to us that we'd have to answer questions on what we were doing about things such as data, digital and integration, and how we were going to fund it." Previously, some within the ad industry have regarded doing such deals as entering some kind of Faustian pact in which the myth of continued independence is maintained. "The reality is that private equity companies will always have enough control to ensure they can do what they want if necessary," an industry finance expert points out. At the same time, there's a danger short-term growth is pursued at the expense of long-term strategic objectives before the private equity company presses the eject button - usually within three to five years. Also, as Bob Willott, the editor of Marketing Services Financial Intelligence, explains, an agency's decision to take private equity cash may have less to do with growing the business and more with one or more partners wanting to take some money out without the agency having to be sold. It's certainly true that the industry's involvement with private equity has produced mixed fortunes. At the end of last year, Engine postponed a planned IPO having secured a £62.5 million investment from HIG Capital to fund expansion into the US, Brazil and China. However, i-level, the digital media agency, was put into liquidation 13 months ago, just two years after the private equity company ECI paid £45.5 million for a 60 per cent stake in it. "The usual rationale for such deals is that they provide a platform for acquisitions," a financial analyst says. "But what looks like a good acquisition for an agency may not look so good to its private equity partner, which is very returns-driven. What's more, those partners don't like the thought of being held to ransom by agency principals who have close relationships with key clients." Can the marriage between Karmarama and Phoenix stay the course? There are some encouraging signs. Phoenix has held stakes in some companies for the best part of a decade. Also, as Marcus Anselm, a director of Clarity, points out, the investment in the agency by Phoenix is just the third from a £450 million fund raised only in May last year, suggesting that it is likely to be some time before there is pressure for an exit. The agency promises to use the time and money pulling in the talent that will bolster its digital offering and to lay the foundations of an integrated micro-network covering Europe and the US, as well as the burgeoning markets of Brazil, Russia, India and China. The potential to take some of its domestic business beyond the UK already exists. The agency works with lastminute.com in Europe and it has a relationship with Unilever, the world's second-largest advertiser, via its Colman's mustard account. Industry sources suggest Phoenix will make the agency work hard to deliver growth, but not sweat it. "A business plan will have been agreed but the agency won't be expected to make it happen by tomorrow morning," one says. "But if nothing much is happening within 18 months, you can expect Phoenix to be tapping its pen on the table." What Karmarama will do when Phoenix withdraws is an open question. One option is an IPO, although this has never been popular with small entrepreneurial shops that don't want to be burdened with the investment community's short-term demands. And Mendelsohn is adamant that selling to a network isn't on the cards. The best hope is that either Phoenix is in for the long haul - or that a similar company will conclude Karmarama has been successful enough to make it worth a punt.